A Black and Brown led coalition of growers in Philadelphia, building a grassroots movement through relationship building, honoring culture, community education, organizing, activism and advocacy: a People’s Agroecology. Find us on social media for event details & updates. 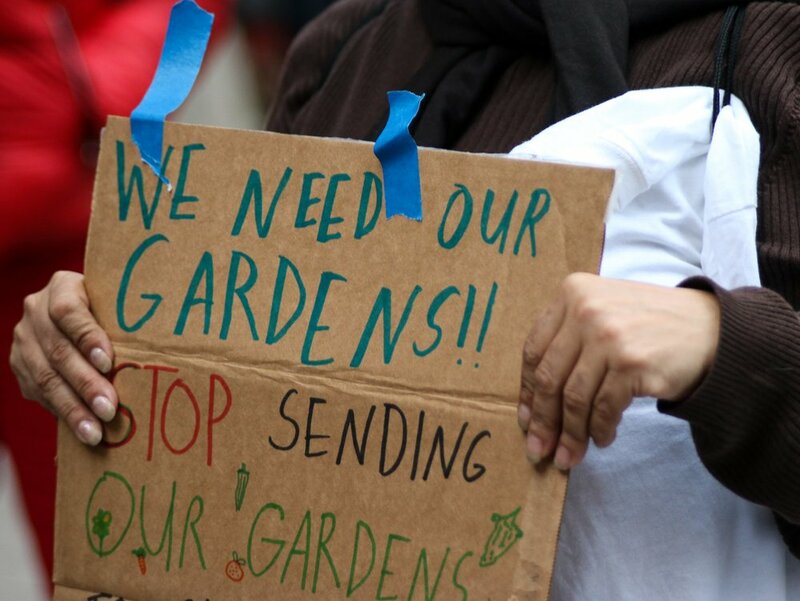 SIGN THE PETITION in support of Threatened Gardens. Follow the money! See who’s dollars are affecting our elected officials. We made our second brigade trip to Puerto Rico with Our Power Puerto Rico and the Climate Justice Alliance! 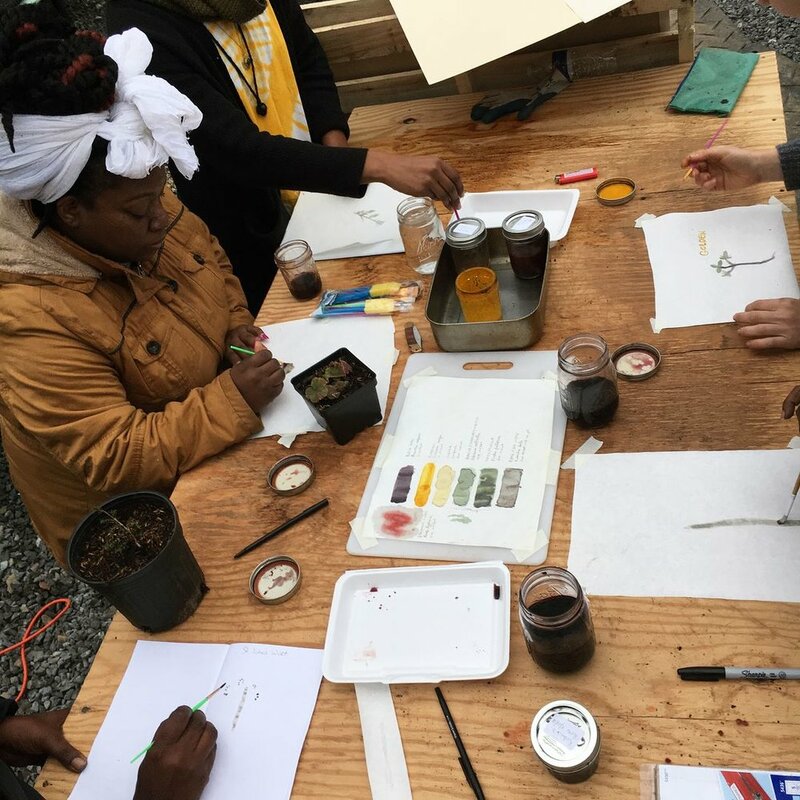 SG hosted an Urban Botanica Certification course to empower women of color in herbal medicinal skill building. Charlyn Griffith was featured on the front cover of Edible Philly magazine, for her incredible work in urban agroecology at Farm for the City. Lan Dinh supported youth at VietLead in their movement to end the 10-year tax abatement! co-op developer fellow with PACA, pushing the boundaries of food equity in Philadelphia. Malaika Hart prioritized for farmers of color at this year's NESAWG regional conference. Atiba Ellerby is developing his praxis of agroecology at Two Bears Farm, in Durango, CO.
Sonia Galiber spoke volumes at the HEAL School of Political Leadership! An on-going project to address displacement politics and the right to grow, thrive, and feed ourselves in Black and Brown communities of Philadelphia. We used our collective power to identify major players in the Philadelphia land and food systems, as part of the Threatened Gardens Series. COMMUNITY CONTROL of LAND is the foundation of our collective struggle towards liberation. As a coalition of Black and Brown-led farmers, growers and community members, these demands impact us readily and deeply. Whether the issue is food, education, or housing; community control of resources REQUIRE community control of the land. Our gardens are not just extracurricular spaces! They are community-driven acts of resistance and resilience mostly by communities of color in historically underinvested communities. leaders and activists in Philadelphia. IN PHILADELPHIA, BUILDING A GRASSROOTS MOVEMENT THROUGH RELATIONSHIP BUILDING, HONORING CULTURE, COMMUNITY EDUCATION, ORGANIZING, ACTIVISM AND ADVOCACY: A PEOPLE’S AGROECOLOGY.